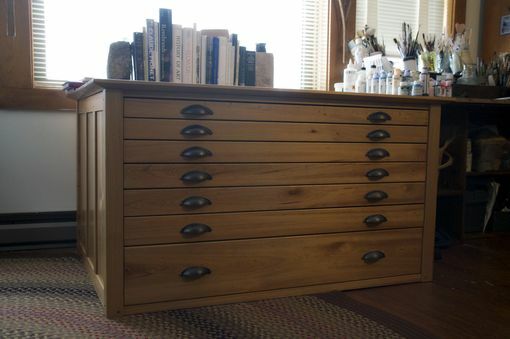 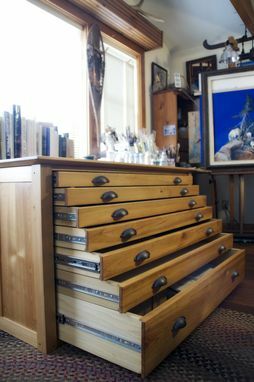 This particular map chest is made of cypress, and was originally designed for storage for a professional artist. At 51" wide x 38"deep x 28" tall this piece is large enough to store large format paper, maps, etc without folding. 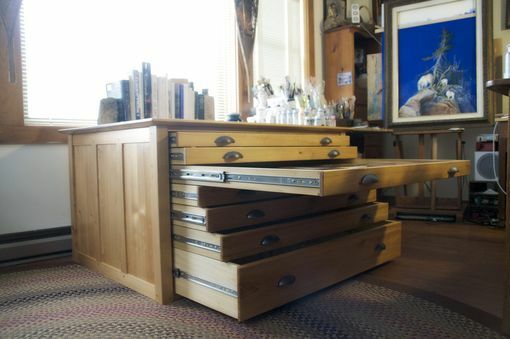 Graduated drawer heights allow a variety of storage options as well.